The second quarter 2009 started with the launch of the My Coke Virtual Couture online fashion store where Mycoke registered users could redeem their points in return for clothes, shoes and accessories from Things, Jennyfer, Piazza Italia, Women's Secret, Peacocks, Exit, Miss Sixty and Shu. 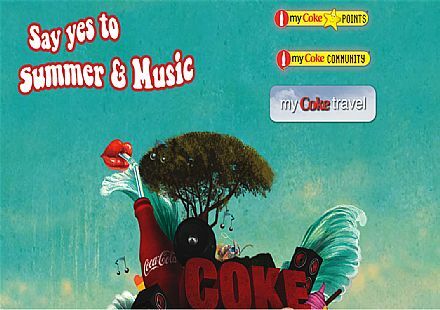 Next was a new look for the homepage of mycoke.com.mt to match the summer Mycoke campaign 'Say yes to summer and music'. With General Soft Drinks Ltd, the ambitious and exciting projects never stop. Mycoke Travel was launched in June whereby, GSD Ltd. in collaboration with Air Malta is offering flights to Bologna, Verona, Tunis and Palermo. Mycoke 15 was one of the latest promotions whereby together with 89.7 Bay Mycoke offered VIP treatment at the Isle of MTV for the winner and 14 friends. Contestants had to submit their reason why they should be the ones winning this prize through Mycoke 15's website.